The Vidia TWN-01 uses triturating action when extracting juice from fruits and vegetables. Two interlocking gears rotating in opposite directions grind and squeeze the juice out of all types of produce efficiently at a rate of 160 RPM. This process contributes to low levels of oxidation preserving the nutrients, enzymes and vitamins needed by your body. The Vidia TWN-01 dual stainless steel and nylon augers crush and squeeze produce down to tiny bits. This technology is great for getting the maximum yield from a wide variety of produce including leafy greens, root vegetables, and hard apples. Dual gear juicers are especially good for traditionally difficult ingredients like wheatgrass. 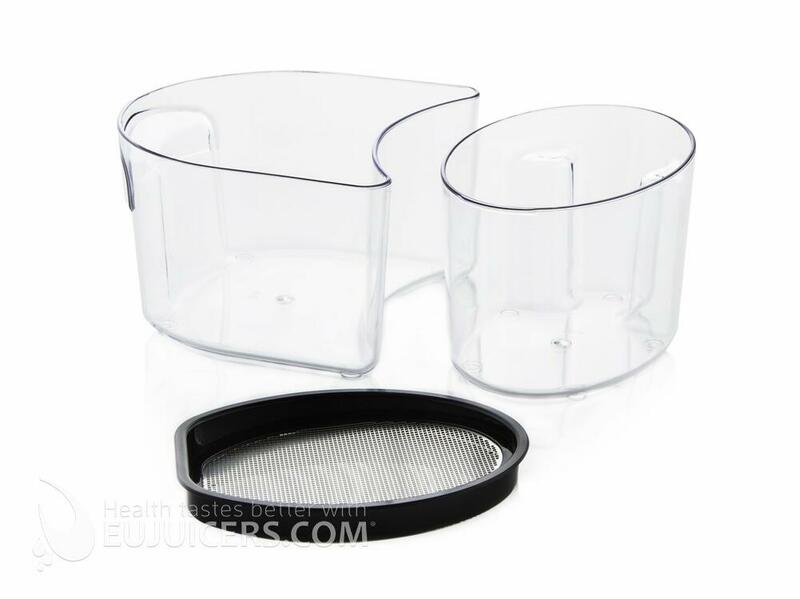 Most juicers come with just one juicing screen. The Vidia TWN-01 includes three screens which opens up a wider range of produce that can be processed. Fine screen: Highest pressure and driest pulp - great for hard produce like carrots, beets, and firm apples. Coarse screen: Larger holes for less pressure - best for softer produce like pineapples, berries, and peaches. Homogenizing screen: No holes - crushes ingredients together to make things like peanut butter, hummus, and frozen fruit sorbet. Twin gear juicers are the most advanced type of juicer. While they offer the highest yield, they also take more time as some ingredients, especially carrots, need to be cut into smaller pieces. 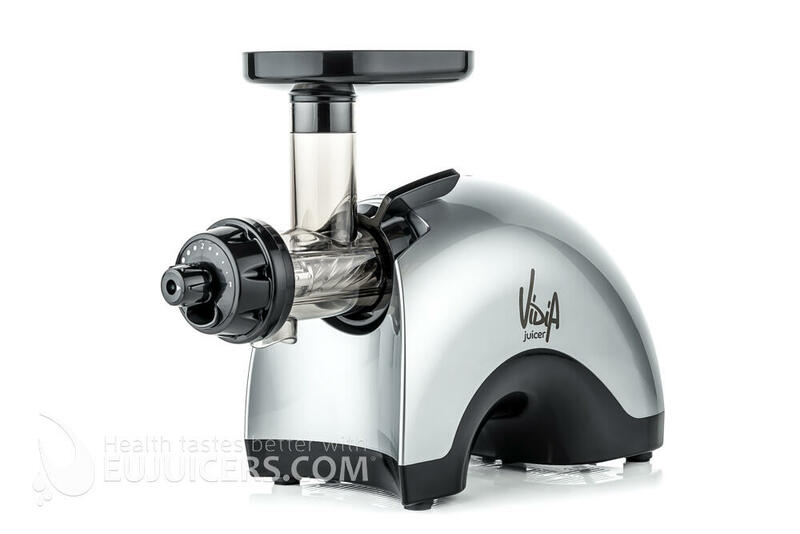 The Vidia twin gear juicer is no exception, as it takes some time to process harder ingredients but gives a great yield of very high-quality juice. 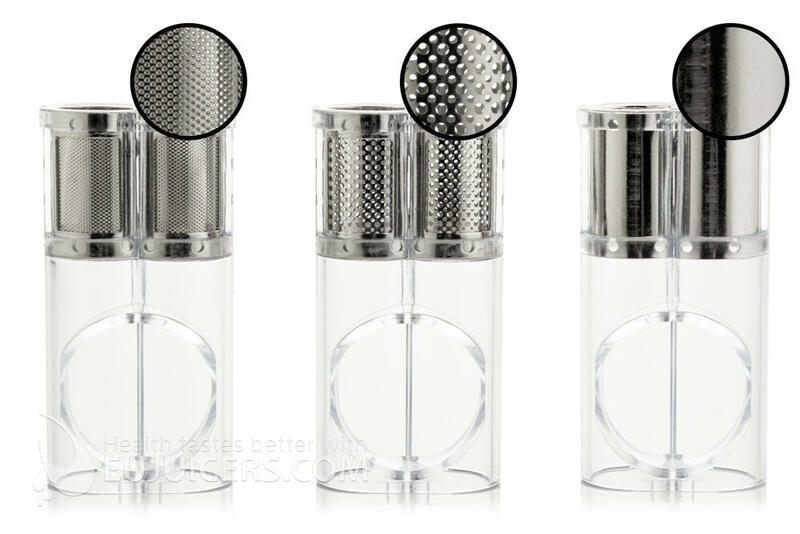 We liked that Vidia incudes three juicing screens. The blank screen is unusual for a twin gear juicer, and does a good job with banana/fruit sorbets. 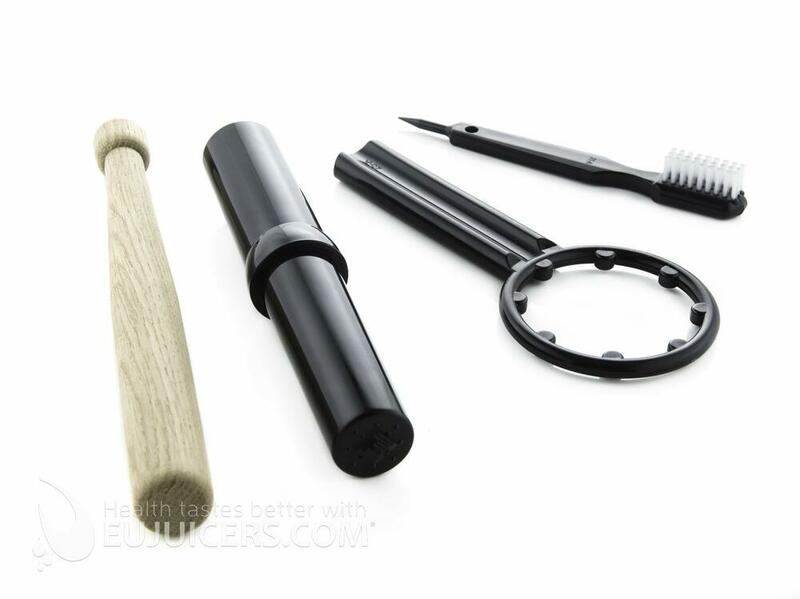 Another pleasant surprise was the inclusion of a solid wooden pusher in addition to the standard plastic one. Finally, the Vidia is solidly built in South Korea, unlike some flimsy competitors from China.